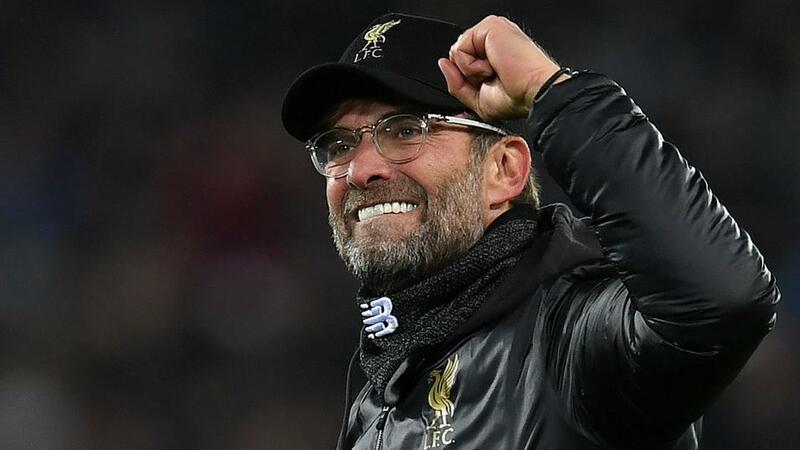 Will Jurgen Klopp be celebrating after Liverpool's match with Southampton? "Southampton have scored in 11 of the 12 games under Hasenhuttl." With seven games left in the Premier League title race, Liverpool can't afford any slip ups. Manchester City's victory over Cardiff on Wednesday night saw them move back to the top of the table, pushing Liverpool down to second. The title battle continues to swing back and forth like a well-matched prizefight and is proving to be a major test of respective nerves. Liverpool certainly increased the heart rates of their supporters in their outing against Spurs on Sunday, with an own goal giving Jurgen Klopp's side a fortunate last-gasp winner. Klopp will hope for a more conclusive performance at Southampton, in what has the potential to be a difficult away day. At a demanding point of the season, Klopp is close to having a fully fit squad to choose from. Joe Gomez and Alex Oxlade-Chamberlain are the only players currently missing, as they attempt to regain fitness after lengthy injuries. Southampton look to have found form at just the right time, as they attempt to distance themselves from the relegation zone. The Saints have won three of their last four games and are now five points clear of Cardiff, as they fight to avoid joining Huddersfield and Fulham in being relegated to the Championship. It seems as if they will be successful, with the decision to sack Mark Hughes and replace him with Ralph Hasenhuttl paying off. Hasenhuttl's biggest challenge when joining the club was to get the team scoring goals, with the lack of attacking quality in the squad having proved a huge problem for Hughes and his predecessors Mauricio Pellegrino and Claude Puel. The fact that Southampton have scored in 11 of the 12 games under Hasenhuttl, shows that the German has had the desired impact. Yet Hasenhuttl will be without his first choice striker Danny Ings for this match, as he is ineligible to face his parent club. Mario Lemina, Shane Long, Michael Obafemi and Jannik Vestergaard could also be missing with injury. Liverpool are the [1.45] favourites, with the draw at [4.9] and Southampton out at [8.8]. The visitors have to be favoured, but are too short against a Southampton side that beat third placed Tottenham in their last home match and are still desperate for points to confirm their safety. Southampton's scoring record gives potential for both teams to score and Liverpool to win, which is available at [3.25]. A Liverpool win and over 2.5 goals is another bet to consider at [2.2]. As a standalone bet, both teams to score is priced at [2.02]. It's landed in each of Liverpool's last four games. All of those matches produced over 2.5 goals, which is available at [1.78]. The ineligibility of Ings is a worry, but Southampton have grown used to having to do without the striker, due to his problems with injuries. Despite being in a poor run of form, Mohamed Salah remains the favourite to score for Liverpool at [2.2]. That creates an opportunity to back his fellow forwards Roberto Firmino and Sadio Mane, who have both been scoring regularly of late. Firmino scored the opener against Spurs last week and is [2.7] to add to his tally. Mane has five goals from his last four matches and can be backed at [2.4] to score against his former club.